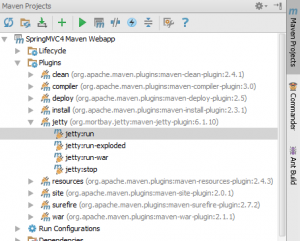 Share the post "How to add Maven Jetty Plugin"
Jetty is a Java Web Server which was developed by the Eclipse Foundation. Maven Jetty Plugin allows you to test, debug and deploy your web application without setting up a server. Visit this post to create a simple maven web application if you don’t have one. In your pom.xml, add your maven jetty plugin in plugins under build section. and test it to your browser by going to localhot:8080 or to the port that you have defined. 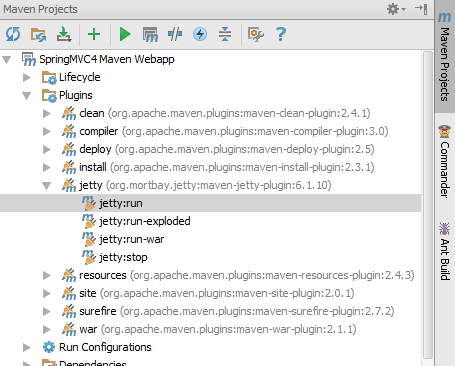 Using IntelliJ, you can run maven jetty plugin by going into Maven Projects Tab and on Plugins section, double click jetty:run.